In late February 1988, the world was shocked by a week-long series of demonstrations in Yerevan, capital of the Armenian S.S.R., one of the fifteen republics of the Soviet Union. Although peaceful, the place, size, length, and apparent suddenness of the demonstrations brought to world consciousness names of people and places as intractable as the issues they embody. The sights and sounds of hundreds of thousands of demonstrators seeking to influence policy makers in the central government of the U.S.S.R. and bring about changes in internal boundaries highlighted the promise and challenge of glasnost and perestroika. 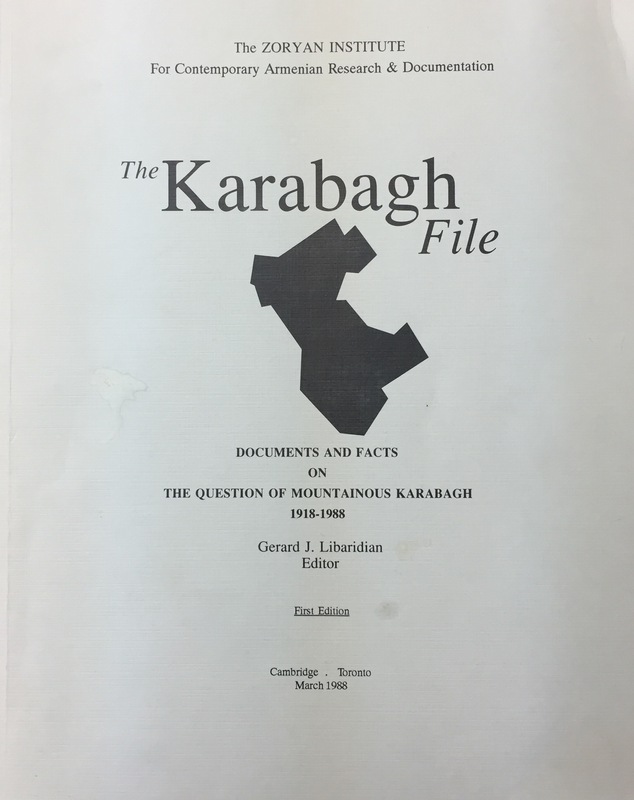 The question of Mountainous Karabagh also raised the thorny issue of Soviet nationalities policy. The day to day interpretations accompanying the drama that unfolded could not have been expected to reveal the roots and dimensions of the question of Mountainous Karabagh, a 4,500 sq km Armenian-populated-area which Armenians are hoping will be reattached to their land. There is a gap between the fascination with the question and available information. This is a unique volume which attempts to bridge that gap. Through the extensive use of original documents, maps, statistical data, a chronology, and photographs covering the last eighty years, the Zoryan Institute and its staff provide the reader not only the necessary information but also the context within which it is possible to analyze the problems.